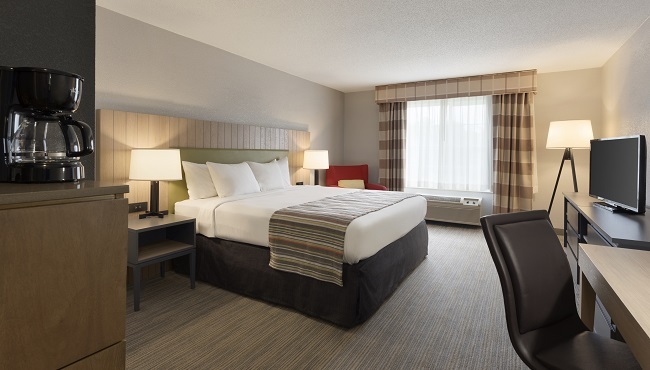 With amenities like free Wi-Fi, in-room coffeemakers, and a microwave and refrigerator, the Country Inn & Suites, Shakopee offers a great balance of comfort and convenience for both families and business travelers. Kick back on your plush bed and find your favorite HBO show on the LCD TV before drifting off to sleep. In the morning, catch up on the news with the free weekday newspaper before heading to our free, hot breakfast. 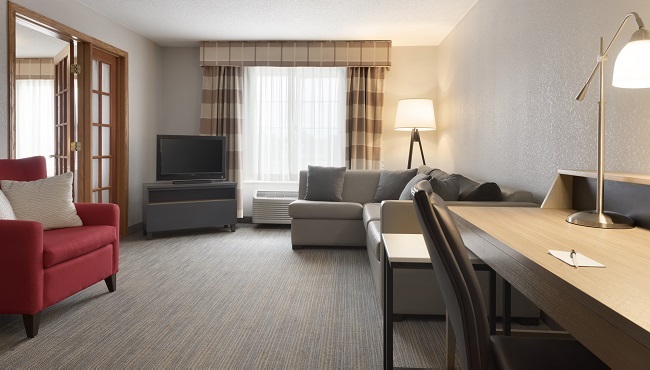 If you’re traveling with the family, consider booking a One-bedroom Suite, which features a private bedroom, a separate living room, a sleeper sofa and plenty of extra space for everyone. 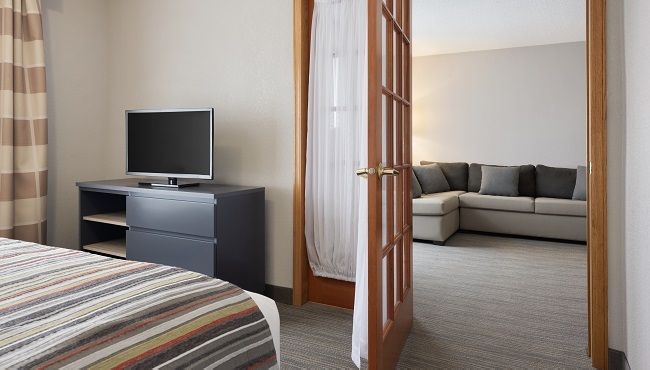 These rooms include one king bed, two queen beds or two double beds plus all standard amenities, including a cable TV with premium channels. Specially designed for corporate travelers, our spacious Premium Room offers a king bed, a work desk and a C table. 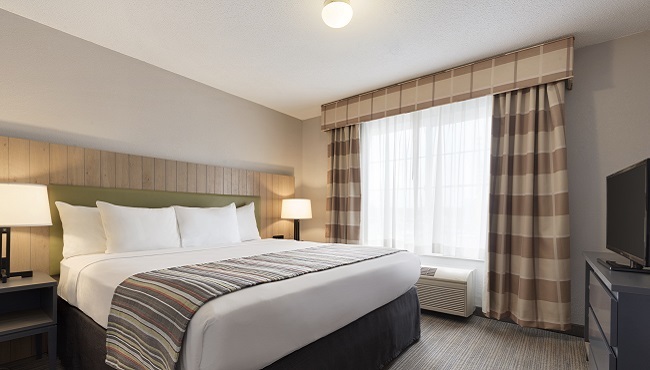 In addition to all standard amenities, these rooms feature a snack basket with bottled water, an alarm clock/radio/MP3 player with a USB port, and a 40- or 42-inch flat-panel HDTV and DVD player. Perfect for families in need of extra space, the One-bedroom Suites feature all standard amenities, plus a private bedroom and a separate living room with a sleeper sofa. Here to celebrate a special occasion? 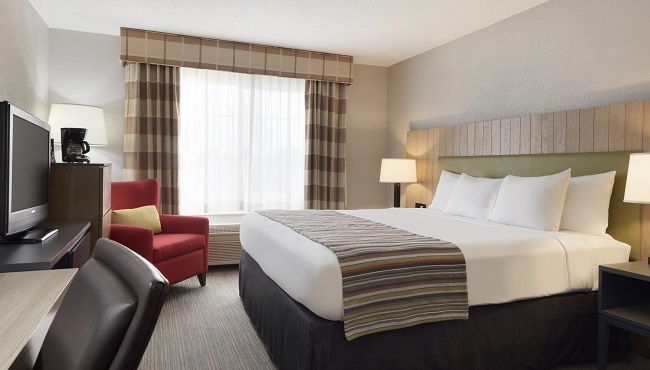 Book one of our romantic Whirlpool Suites to enjoy a king bed and an in-room whirlpool for two. These suites also have a 42-inch TV and a pullout sleeper sofa. 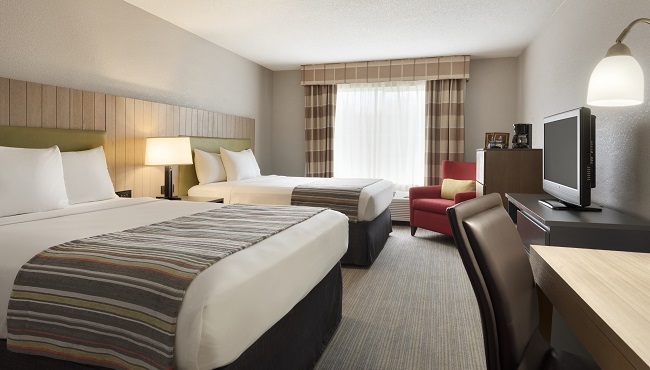 Offering affordable, spacious and comfortable accommodations, these suites are ideal for guests who are staying with us for a while. Relax in your private bedroom, or spend time with the family in the separate living room. A dining table and chairs make eating in easy.